Moving a company requires so much more than the simple transport and setup of a few desks and chairs—it calls for skilled moving professionals who can handle every single item in your office, from the heavy furniture to the sensitive electronics. To work with a local company capable of meeting your every business moving need, get in touch with Liberty Movers today! 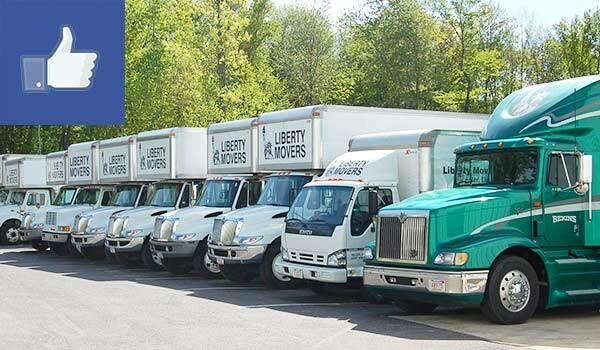 At Liberty Movers, it isn’t just our decades of experience that gives us an edge over other technology movers in central Massachusetts—it’s our clean, modern equipment and our longtime partnership with Bekins Van Lines. No matter how simple or complex your electronics moving needs may be, we have the skilled professionals and state-of-the-art moving fleet to get your equipment there on time and in perfect working condition. For an even smoother moving experience, ask about our furniture installation and IT set-up services! Your company’s electronics are too important to leave to chance—so put them in the hands of Worcester’s oldest and largest moving company! For more information about our technology moving and commercial Worcester storage solutions, don’t hesitate to call us today. If you’re ready to start with a free cost estimate in the comfort of your office, take a minute to complete our brief online form now!